During 2007 I designed and built about a dozen turbo-stoves and a couple of turbo-furnaces. 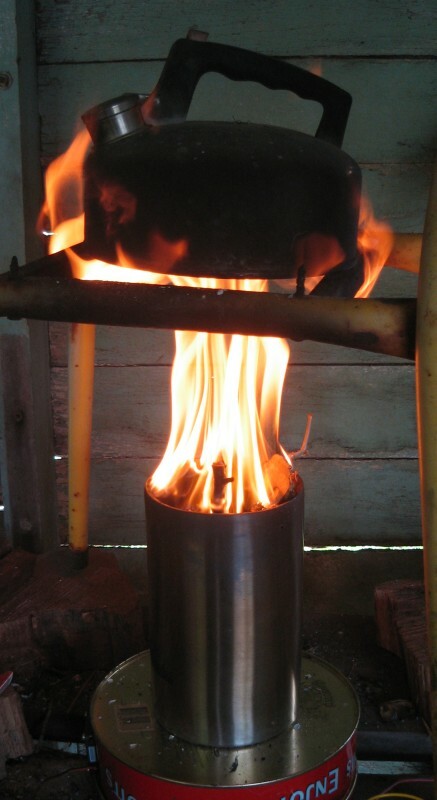 A turbo-stove is a clean burning device usually burning wood or other solid bio-mass. 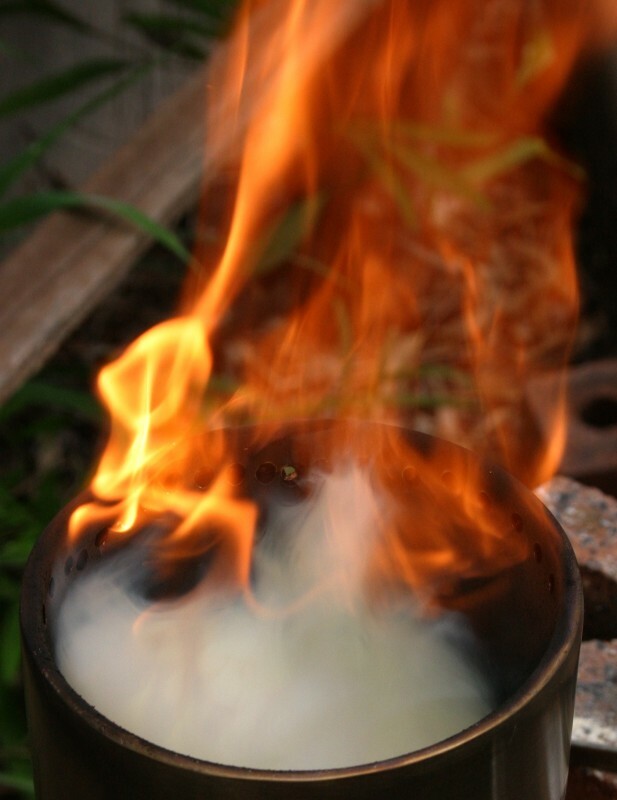 They are a close coupled gasifier comprising mainly of a lower combustion chamber where an air starved fire produces gas (smoke) which is then mixed with air and burned in a secondary flame. The idea is not original but my implementations are. Most but not all of my stoves are fan-forced. This example is based of a double walled stainless steel wine bucket and is fan force using a 12V 2 Watt computer fan. I already have several web pages online on the subject so I won't duplicate it all here. Created by system. Last Modification: Thursday 01 of September, 2016 19:47:11 EST by eddie.